Since starting with 36 feet of records housed in the convict-built Commissariat Store (now the home of the Royal Historical Society of Queensland), Queensland State Archives has grown in feet, yards, miles and kilometres. And this month we will be reaching the momentous 50 kilometre milestone. Among the many maps, reports, letters, registers, photographs and other documents in the archival collection, there are some absolute treasures. To celebrate the enormous variety of documents held at Queensland State Archives, we’re holding the ‘My Favourite in the 50’ competition. Queensland State Archives want you to tell them what your favourite record is. Whether it’s a school admission register, a photograph of an ancestor, or the Queensland Proclamation, we’d like to know what your favourite re​​​cord is and why. The three entrants who best describe their favourite records and why they’re important to them will receive a QSA Prize Pack. 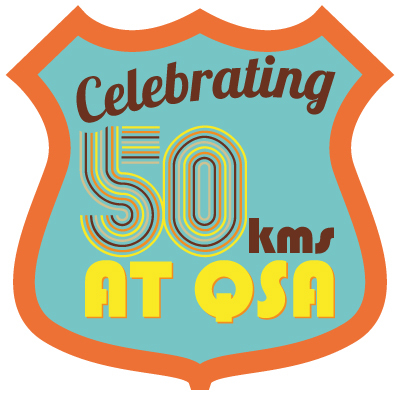 All entries will be posted on QSA’s blog site. To enter, simply email your entry to web[at]archives.qld.gov.au. Competition closes 5.00pm Friday 18 October 2013. See the competition terms and conditions.